Throughout an academic year, emergency situations occur which impact individual students and potentially the entire university community. Our staff is available 24 hours a day and trained to respond in a coordinated manner to our students during times of crisis. As the university's primary contact, we initiate connections to faculty and university departments for a collaborative approach to student support. A dean's certification is a form that some institutions require to indicate that you are in good standing at your current institution. 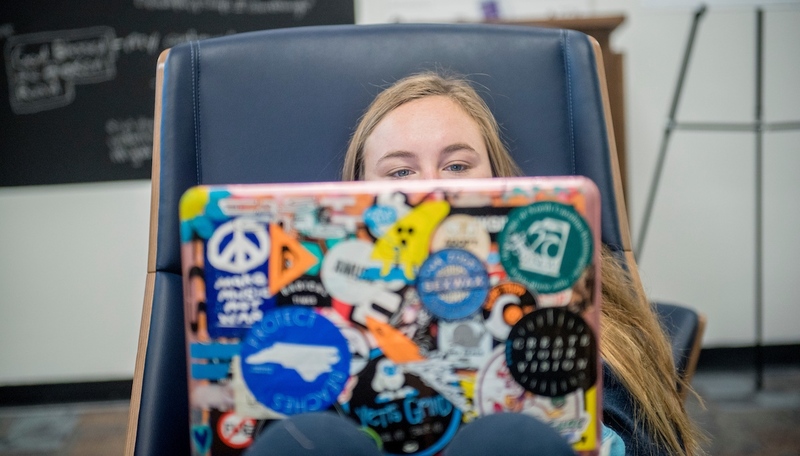 For example, a student who is attempting to transfer from UNCW to another institution may receive a dean's certification form that needs to be completed by the Registrar and/or the Dean of Students. The Office of the Dean of Students works closely with the Registrar's Office to process dean's certifications for students. Generally it requires two (2) business days for forms to be completed and returned to a student. For more information, please contact our office. The purpose of a "Faculty Notification" (also commonly referred to as "emergency emails") is to inform faculty in a timely manner when students will be out of class for an unforeseen emergency or crisis. Generally, a notification is sent for students who have experienced a situation where they need to leave immediately to address a personal issue, which may include a death in the family, a serious injury, illness or hospitalization. Our office does not excuse absences and we strongly encourage students to connect with faculty when they return to determine the best course of action for the class. The email will always contain language that reminds the student that we do not excuse absences. There is no expectation or requirement that students contact our office or request a faculty notification if they are capable of doing so themselves. We generally do not notify faculty "after the fact" or if students tell us that they have indeed contacted the faculty and made them aware of the situation on their own. UNCW is a community which embraces diversity. The university supports activities that encourage understanding, respect and appreciation for different points of view. In pursuit of this goal, the university aspires to protect its educational mission while also protecting the first amendment right to free speech. The granting of this privilege does not imply any endorsement or support for the views expressed by the individual or group who is granted a permit. Any individual or group seeking the opportunity to speak on campus must complete a "Freedom of Expression Permit & Statement of Responsibility" with the Office of the Dean of Students at least two (2) business days prior to any activity. Speakers will be assigned to a specific area and granted permission to assemble for a duration of no longer than four hours. On the day of the authorized event, the speaker may request permission from the Associate Dean of Students to speak for up to two additional hours, for a total assembly time of no more than six hours on any particular day. The selling of items, soliciting of funds or use of any type of sound amplification is not allowed. Anyone who wishes to also distribute written information must indicate so on the permit request. The Office of the Dean of Student is committed to assisting any student who may be experiencing transition, academic or personal difficulty as well as any crisis or emergency situation. Our staff is trained to listen, discuss options, provide support and make accurate referrals. We can provide conflict resolution and mediation concerning issues among individual students or groups. If you find yourself dealing with an issue that is impacting your or a friend's university experience, the Associate Dean, Assistant Deans and Case Manager are available to provide assistance. Appointments may be made by contacting us at (910) 962-3119 or by stopping by the office. When available, we are happy to assist students immediately without an appointment. Undergraduate students who want to withdraw from all classes after the drop/add period can process their withdrawal online by following these instructions:Complete Term Withdrawal (PDF). No withdrawals ("W" or "WF") will be processed during the final exam period. After the last day of registration and add/drop, students may withdraw from individual classes through SeaNet, subject to the deadlines and conditions defined in their Catalogue.